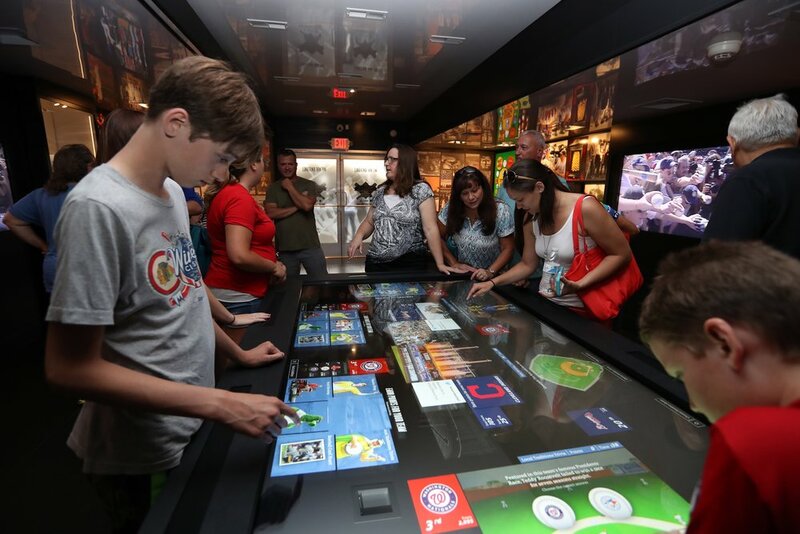 As project and operational managers on the Baseball Hall Of Fame Tour, GSP was tasked with the monumental challenge of installing, transporting and securing priceless artifacts in climate controlled mobile galleries. GSP, along with their designers, created artifact mounts that enabled the artifacts to remain in the cases during transport, setup and operation of the exhibition. Platform walkways were created by adapting outdoor staging systems in a new and unique way as well as the development and deployment of the first Mobile IMAX Theatre. From day one of inception, Grand Slam teamed up with over 25 design companies to build the custom exhibit from scratch. 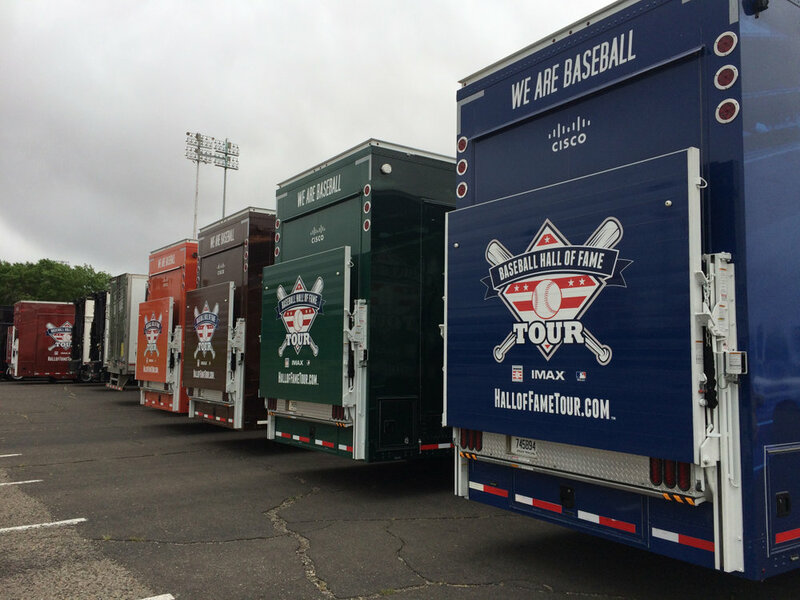 These design companies each handled a certain part of the project on a strict timeline ranging from interior artifact case building to interactive element creation and exterior installations of famous baseball images to videotaping behind the scenes footage for a full 360 virtual reality film and the IMAX film. Each task was strategically planned-out with timelines and milestones. Through the thorough production oversite of Grand Slam the tour was on the road earlier than expected. Once on the road, GSP was responsible for all route planning and expenses which included site securing, site surveying, marketing and advertising, union staffing, local staffing, waste management, travel and more. This even included arranging the appearances of players, both past and present, and mascots.